Since getting back in to RTL-SDR for my recent foray into decoding DMR, I found that these are a very useful (and low cost) bit of gear. At the last ham radio meeting at Dural, I bought a Shure radio microphone and when I got home I wanted to find out what frequency it was on. 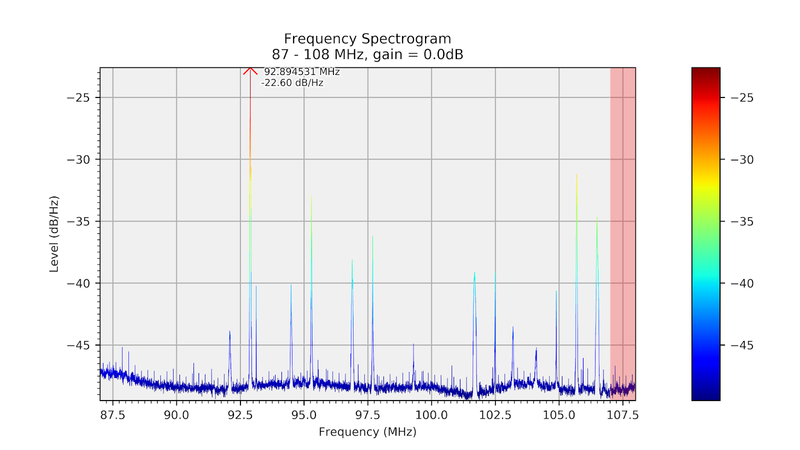 Cranking the knob on a receiver was taking forever so I decided to look into scanning broadly with RTL-SDR. There is a bundled tool called rtl_power which seems perfect for this but it creates a CSV file that's a bit annoying to look at or graph. 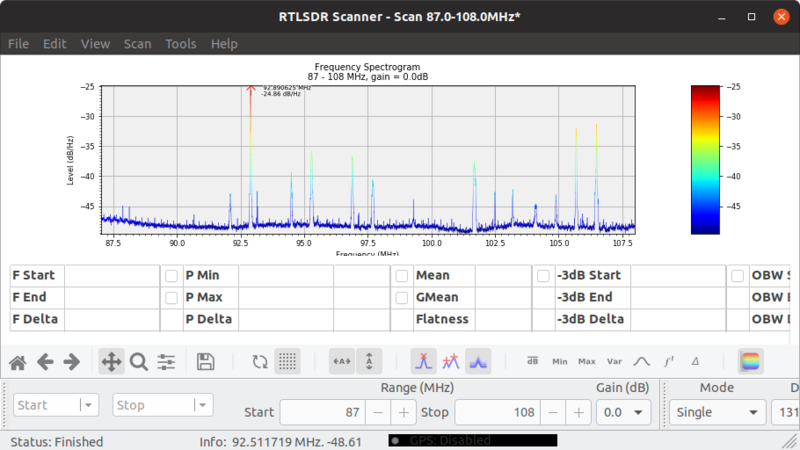 Now I've stumbled upon RTLSDR-scanner. (Click images to enlarge by the way). 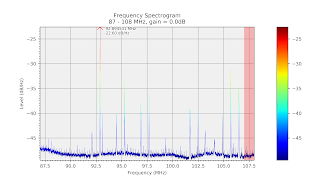 RTL-SDRs don't have much dynamic range so I don't really think this would be good for real spectrum analysis tasks, like finding spurious emissions from transmitters, but for finding the output of a mystery radio mic (622MHz by the way) it was perfect. There is some great software around for driving RTL-SDR and other SDRs. One that looks terrific is Spektrum but I can't get it working on my Ubuntu or Windows machines here.